COMING FROM a non-observant family of Jewish immigrants from the Former Soviet Union to Israel, a country where many people tend to lead secular lifestyles, I wasn’t raised in a particularly religious environment. In fact, I can count on fewer than five fingers the times that I stepped foot in a synagogue during my childhood. But one aspect of the Jewish faith that has always appealed to me is its introspective morality. Every fall season, we look back on the past year in advance of Yom Kippur, determine whom we have wronged, and try to atone for our interpersonal sins with sincere apologies. Around the time of Yom Kippur last year, I felt that I had unintentionally offended an old friend of mine. I decided to make an apology. In the fast-paced world we live in today, in which many social interactions are conducted online, can apologizing on social media be considered true atonement? JNS surveyed Jewish religious leaders across denominations on the subject. JEWISH BLOGGER and social media expert Rabbi Jason Miller strongly argues against technology-facilitated atonement. ”I’m a fan of face-to-face communication or, when not possible, a phone call. It’s important for people to hear your voice when you apologize. Sending an email, text message, or Facebook message is a good start, but it’s not sufficient for the performance of teshuvah (atonement),” Miller says. ”If you were to write a really nasty tweet about somebody . . . I think that any teshuvah process should involve you actually apologizing through that medium to begin the process, because thats where the wrong was committed,” Rabin says. RABBI RONI Handler, director of community learning for the Reconstructionist Rabbinical College also believes that if the sin being atoned for is directly connected to social media, theres actually something really powerful about stating that [apology] online. “In the Reconstructionist movement,” explains Handler, ”we value community a lot, and obviously the face-to-face community is really special and powerful . . . But we are always thinking about other ways in which we can connect as well. I don’t know that [social media] should replace face-to-face connection, but we do recognize that . . . there are a lot of different ways to connect. “There is a lot that can end up being misconstrued in writing. Something that people might be writing quickly because theyre running out of the door, might come out as curt or angry. When one is making teshuvah, having the proper intention is so important. If the relationship that you have is one that you feel an email could be sufficient [for an apology] . . . then in that case maybe that would be okay,” Handler says. Rabbi Esther Lederman, however, believes that the medium is less significant than the intention of the apology. “I’ve had very meaningful exchanges by chat and email, although I am also someone who prefers to communicate with a person by voice,” says the director of communities of practice at the Union for Reform Judaism. THE SOCIAL media editor of Chabad.org, Rabbi Mordechai Lightstone, emphasizes that the most important aspect of atoning for interpersonal transgressions is understanding that forgiveness in Judaism centers on how the aggrieved person receives the apology. If that person feels they were apologized to in the right way, then the medium becomes less significant. ”When we wish to truly convey the emotional impact of our words, we must make sure we truly understand how they will appear,” Lightstone says. 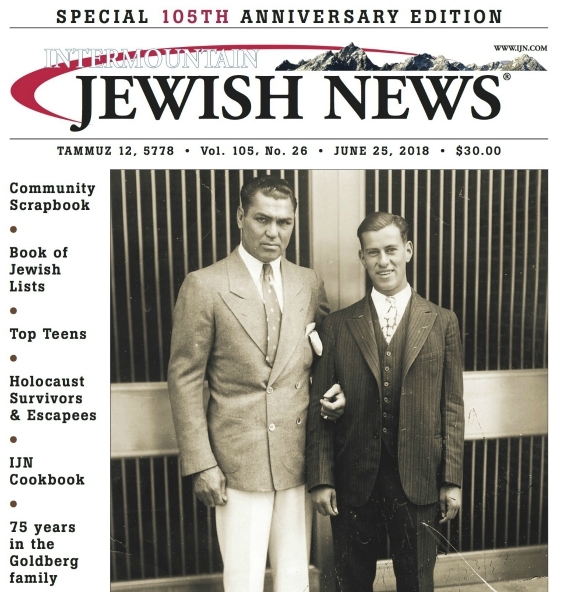 “To some, nothing short of a phone call before Yom Kippur would be considered a serious and honest form of asking forgiveness,” says Lightstone. “If I’m able to truly convey my heartfelt remorse with an emoji and a short message, and I know that the person receiving it will be fully comforted or even prefer that text [over a phone call or face-to-face apology], then I’m happy to do so,” Lightstone says.